The Nelson Bays Tennis Associations primary and intermediate ‘Have a Go’ 2017 open day takes place at 11 clubs across the region. 44 schools from Tapawera to Golden Bay are invited to take part in a free coaching session. The “Have a Go” programme launches the summer tennis season with all clubs promoting junior tennis across the region over the same weekend. Schools are active in supporting this initiative which enables students to try out tennis with their school mates before committing to the sport during the summer season. 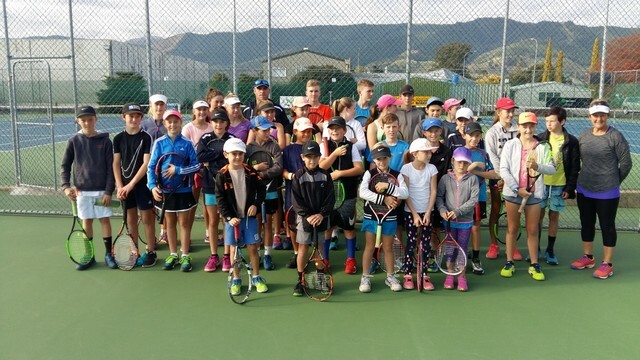 Tennis Hot Shots in Schools; 37 schools in the Nelson area offer a high quality tennis experience that continues the game based and modified equipment approach of Tennis Hot Shots, and that kids love. Click HERE to see which schools are involved in our schools programme this year. Club near you. There are 12 clubs throughout the Nelson region that cater for junior’s needs. Please select from the clubs tab to access information on their locations and programme opportunities. Each club offers social opportunities and the option to gain access to play tennis as a family at a time suitable to you. Interschools cluster league; the primary interschool cluster league takes place in term 4'17. Speak to your school sports coordinator to sign up to your school team or contact Ali McQuilllanalison@tennisnelson.co.nz for further information. Junior interclub a competitive league for various ages and abilities is run throughout the summer. Select interclub then junior tab on this website and contact your Club Junior Convenor for further information. Venues vary each week according to the draw. 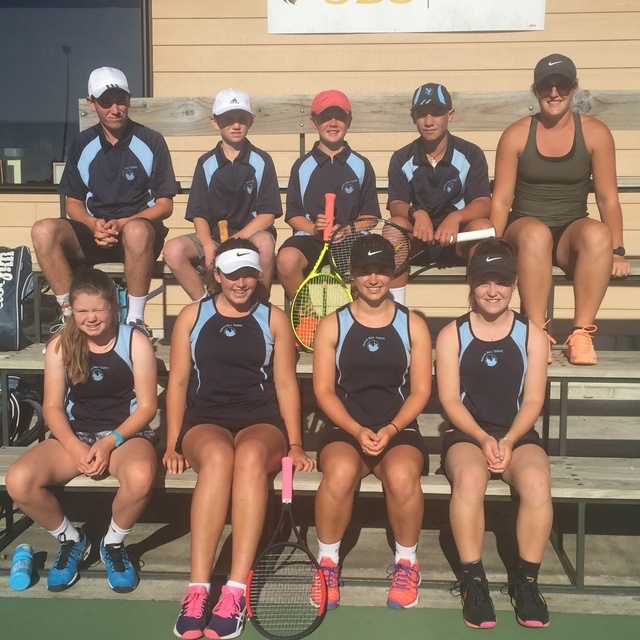 NZ Post Tennis Hot Shots Tournaments; 6 tournaments take place over the summer season at various clubs. These tournaments are designed as an introduction to competition in a simple and friendly way. “The best way to introduce children to the joys of fun, competitive tennis” Select the events tab on this website for tournament information. Junior Tournaments Two junior open tournaments take place each year; the Junior Spring Open in September and the Junior Summer Open at the end of the season, March/April. Two schools tournament take palce each year, Primary and Intermediate Championships and the Secondary Schools Championships. Select events tab on this website and contact your club junior convenor for further information. Secondary Schools Tournament 15th Feb'18. Tennis Hot Shots Tournaments - series of 7 over the season.